The Hampshire by Eagle Construction! This floor plan boasts an oversized island with granite countertops, bar seating, and staggered cabinetry! Open family room, flex spaces, and dual vanity master bathroom. Finished two car garage with insulated garage door. All homes come with third party E-3 green certification. HOA to cover roof, siding, common area irrigation, trash pickup, swimming pool, yard maintenance, etc. 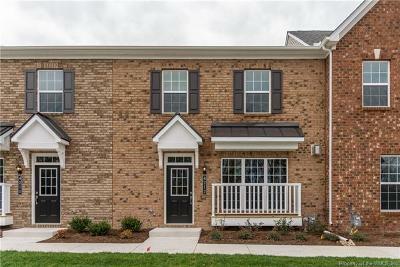 Low maintenance living in Village Walk at New Town! Easy walk to Trader Joes, restaurants, retail shopping, Movie Theater, fitness centers, swimming pool, and community walking trails!